Wealth head David Carroll says retention bonuses are `much lower' than those of peers. Top Credit Suisse Group AG private bankers are being fought over by competitors after Wells Fargo & Co. struck a recruitment deal with the Swiss lender, the U.S. bank’s head of wealth management said. “There’s a little bit of a feeding frenzy for some of the higher-end producers,” David Carroll, who runs Wells Fargo’s wealth- and investment-management division, said Wednesday at a conference in New York. He said Wells Fargo has entertained 211 of Credit Suisse’s 270 or so advisers at its St. Louis brokerage headquarters. Wells Fargo reached an agreement last month with Credit Suisse giving it the inside track on recruiting the Zurich-based company’s private-bank employees as the firm retreats from managing wealth for U.S. clients. 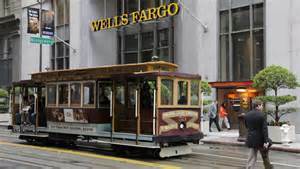 The deal would allow U.S. advisers and clients to move to San Francisco-based Wells Fargo by early 2016, the banks said. The deal gives Wells Fargo access to more detailed information than it would normally get about customers, their investment portfolios and the products that Credit Suisse marketed to them, a person with knowledge of the arrangement said last month. Wells Fargo plans to offer retention bonuses to the advisers, the person said. Still, Wells Fargo typically offers “much lower” retention bonuses when recruiting advisers from other firms than its competitors, Carroll said. Wells Fargo, the largest U.S. bank by market value, is seeking to boost the smallest of its three main divisions as Credit Suisse shifts strategy under new Chief Executive Officer Tidjane Thiam. The business contributed more than 10 percent to Wells Fargo’s net income in the three months ended in September, up from roughly 8 percent two years earlier, data compiled by Bloomberg show.